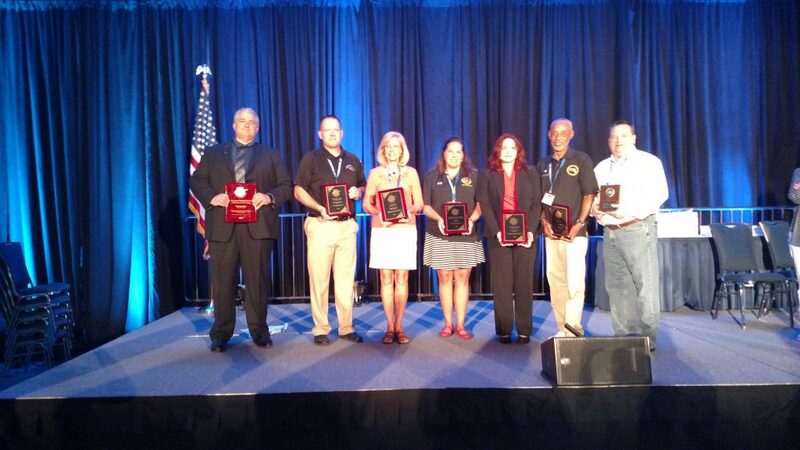 CEDAR CITY – The “Crisis Intervention Team” program gave Cedar City’s top cop the Police Chief of the Year Award for 2017. 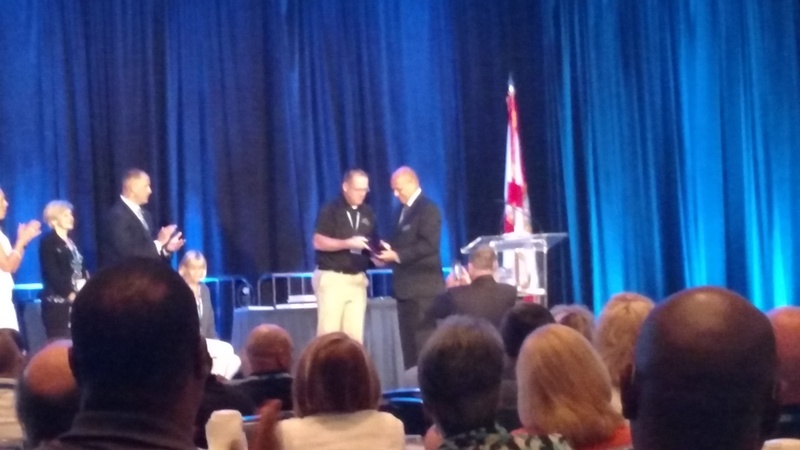 Chief Darin Adams received the honor last week during the organization’s conference in Fort Lauderdale, Florida. Adams was recognized for being “a role model in his field with his progressive and forward-thinking approach” to law enforcement and credited for helping – along with the Iron County Attorney’s Office – to set up a Mental Health Treatment Court, the first of its kind in Iron County. 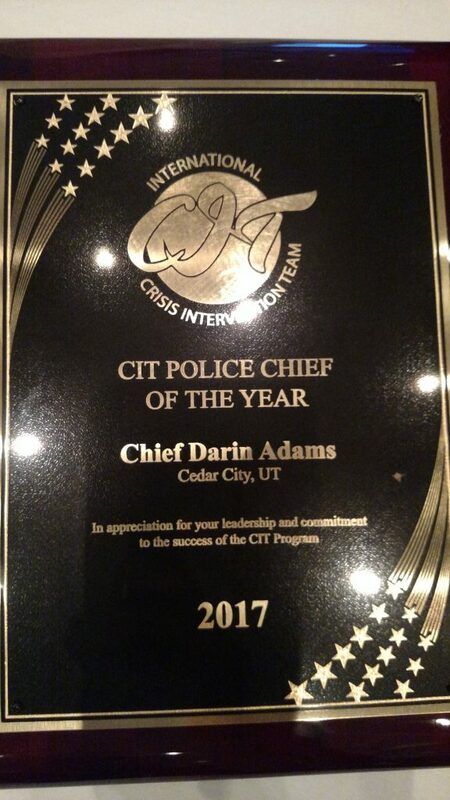 “He has been an excellent community partner, working with key stakeholders to improve the lives of mental health consumers and individuals experiencing crisis,” CIT officials noted prior to awarding Adams. Adams has held the position of CIT regional coordinator for Utah’s southern region since the program’s inception in 2009. He currently serves as the vice president of CIT Utah Inc., which holds the state CIT contract. 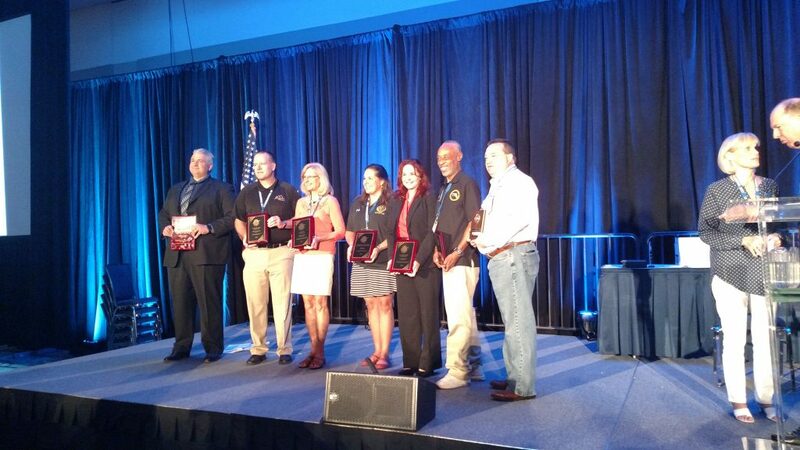 The award came as a surprise to the chief, who said he had nominated another individual for the same award. 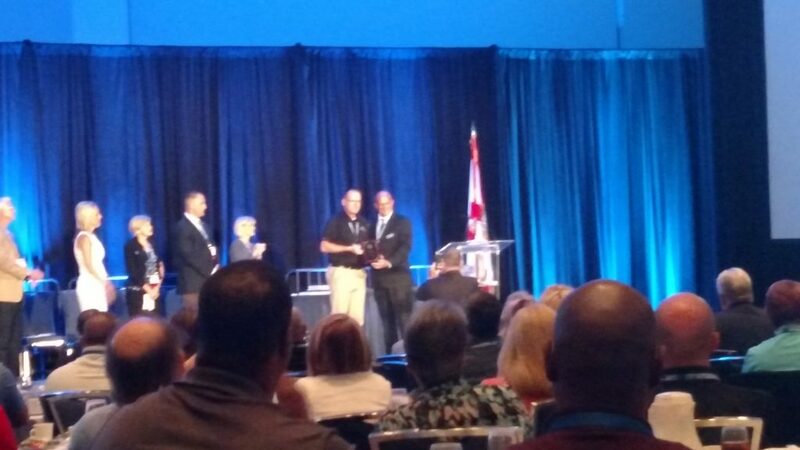 When he first learned of the CIT program, Adams said, he knew law enforcement would need the skills and the training it offered – if not then, at least within the next five to 10 years – he was right. On average, Cedar City Police officers have an opportunity at least once a day to use the tools they received from their training. Iron County Sheriff’s deputies have similar situations. Now as passionate about the program as he was when he first brought the training to Southern Utah, Adams has spent the last eight years working to certify all of Iron County’s law enforcement. Adams has been with the Cedar City Police Department for nearly 20 years and has served as the city’s police chief since 2016. He is currently licensed as a registered nurse in Utah and holds a Bachelor’s Degree in Criminal Justice Administration/Management and a Master’s Degree in Public Administration.